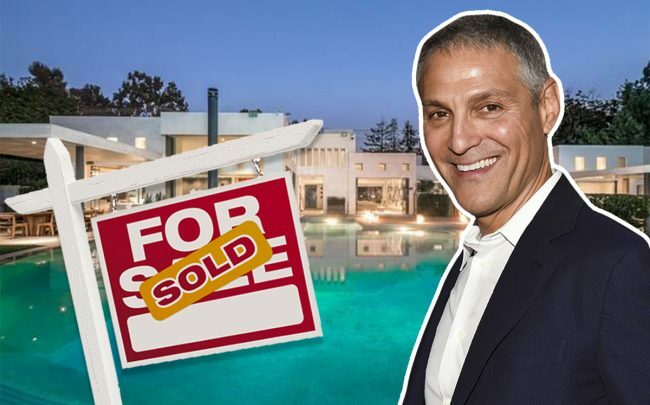 UPDATED, 10:00 a.m.: Superagent Ari Emanuel sold his Brentwood estate for $19.4 million. Emanuel unloaded the 8,000-square-foot home, located at 1647 Mandeville Canyon Road, records show. It has five bedrooms, six bathrooms, a large pool, and a guesthouse. Emanuel, who is co-CEO of talent agency William Morris Endeavor, purchased the home in 2015 for $17 million, records show. The buyer was David G. Brown. Emanuel had listed the home for $18.9 million in January. Last August, Emanuel spent $12 million to buy the house next door. Judy Feder of Hilton & Hyland had the listing on the 1647 Mandeville address. Elisabeth Halsted of Berkshire Hathaway represented Brown. Emanuel purchased the home through Joel Mandel, who co-founded The Management Group, a talent management agency. Mandel and his brother, Robert, has represented some of Hollywood’s biggest stars. Correction: A previous version of this story incorrectly listed Joel Mandel as the seller of the Brentwood home.